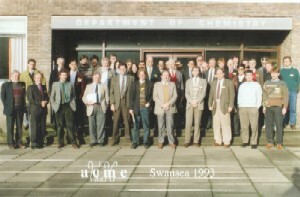 The Association was formed in March 1992 to both promote research in computational mechanics within the UK, and to establish formal links with similar organisations in Europe and worldwide. The Association is affiliated to the European organisation ECCOMAS and the international organisation IACM. The principal activity of ACME involves the organisation of an annual two day conference on computational mechanics, developments and research trends. The purpose of this Conference is to provide a forum for reviewing the computational mechanics activities in any area of mechanics – solid, fluid, gas, bio, geo, etc with a particular emphasis on interdisciplinary aspects to enable cross-fertilization to take place between different disciplines. Theres have been a number of successful conferences every year since 1993. Professor Olgierd C Zienkiewicz was instrumental in setting up the association in 1992 and was association honorary president for the rest of his life. Professor Zienkiewicz passed away on 2nd January 2009. Professor Zienkiewicz was a figure of outstanding worldwide prestige and recognition who made a huge contribution in the area of computational mechanics and in particular finite elements. His long standing leadership from the late 60’s to the late 80’s has inspired many generations by his original ideas and imagination. Professor Mike Crisfield held the FEA chair in computational mechanics in the Aeronautics Department at Imperial College, London. Mike was a leading researcher in computational mechanics and a keen supporter of ACME (Chairman 1997/8). He died in February 2002. The Mike Crisfield Prize for the best presenter amongst all Post-graduate Research Students and Post-doctoral Researchers at the annual ACME conference was set up in honour of his memory. The chair of the association rotates annually.